Do you know there is a category called Stiletto in the art of nail designs? Well for those who are not yet aware of that term, it’s usually used in the sandals department. A stiletto heel is a long, thin, high heel found on some bootsand shoes, usually for women.It is named after the stiletto dagger, the phrase being first recorded in the early 1930s. 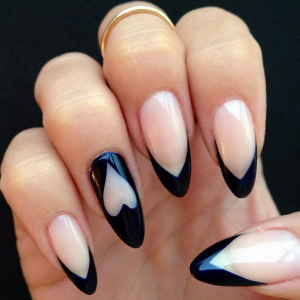 It’s a new invention in the Nail art department where nail are shaped as stilettos at the end. 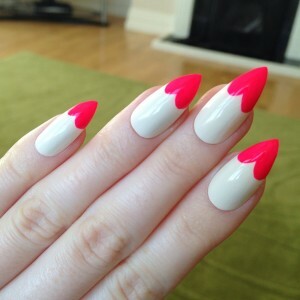 For those who do not have long nails, there are artificial stilettos available as plain or pre designed ones. Here are some tips and quick tutorial available for those who want to give them a try at home. 2) Clean the hands and nails without any residual dust. 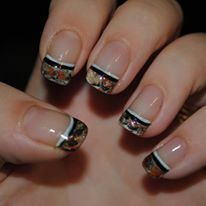 3) By using cuticle remover remove the extra cuticle for natural look. 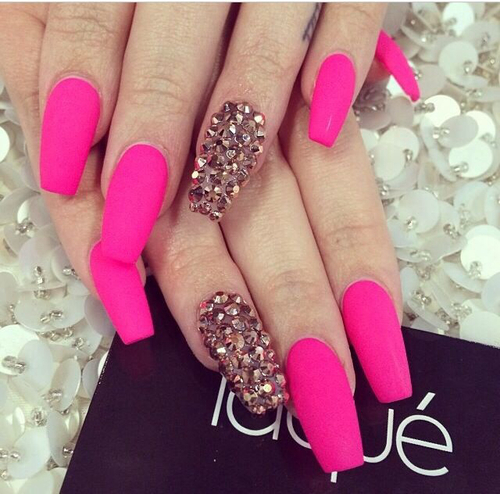 4) By using nail brush clean the nail and apply the nail prep. Up to this the steps are same. 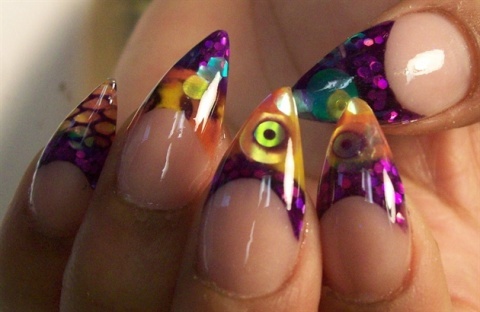 But in this there are two types of Stiletto nails. 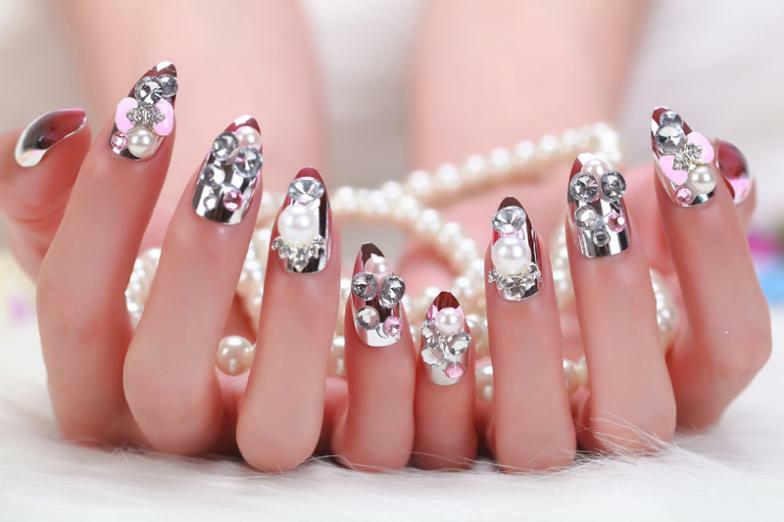 Pre designed Stiletto nails are already prepared nails which are fixed to the nails. 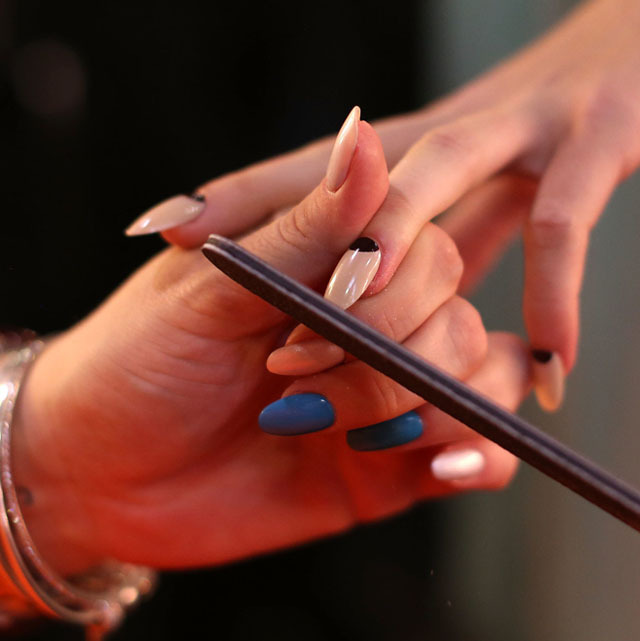 1) By using the nail file refine the artificial nail edges certainly that, the artificial nail surely will fit over the your nail. 2) You got to shape the nail to fix the artificial nails then apply the base coat to the artificial nails. 3) Apply the color nail polish and wait up to the color nail polish is dry, then again apply the color nail polish and wait up to dry the artificial nails. 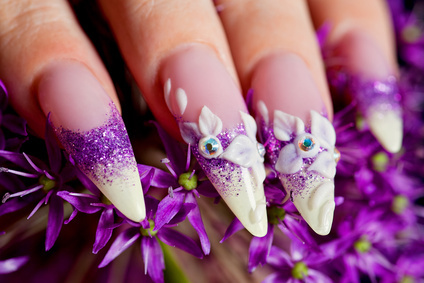 4) Apply the top coat for the artificial nails for protect the nail. 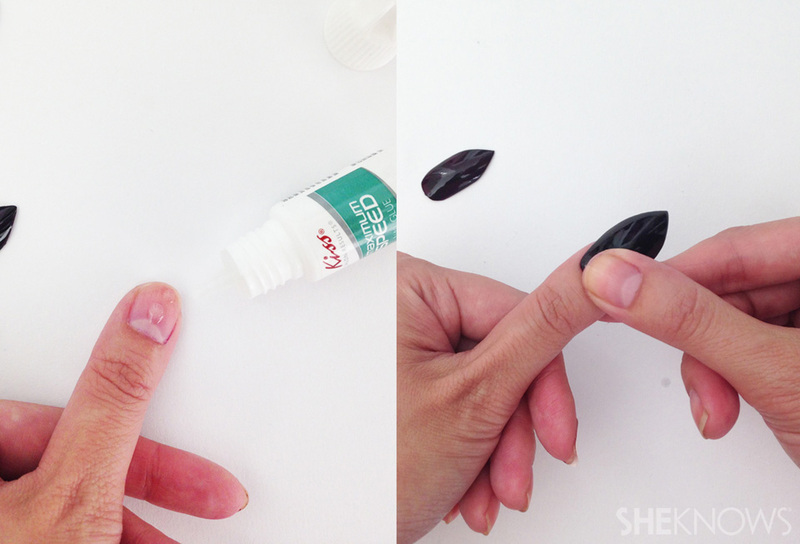 5) Place one drop of glue in middle of the nail and place the artificial nail and lightly press the and hold it up to few seconds for secure. 6) Repeat the steps for all the nails. Artificial Stiletto nails are designed after fixing to the nail. 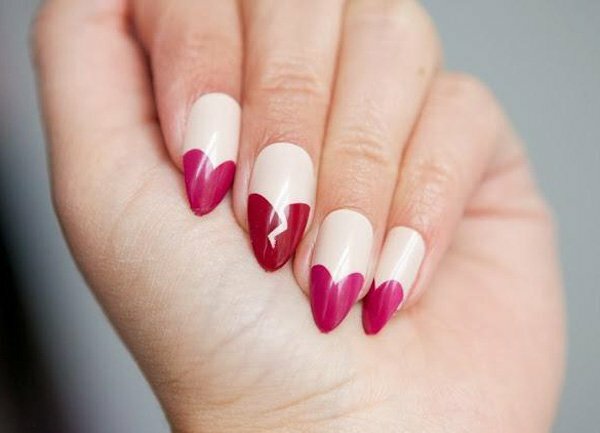 1) Apply glue on nail tip place the artificial nail and wait up to dry the glue after cut the nail what shape is suitable and length by using nipper and file the edges into desired shapes. 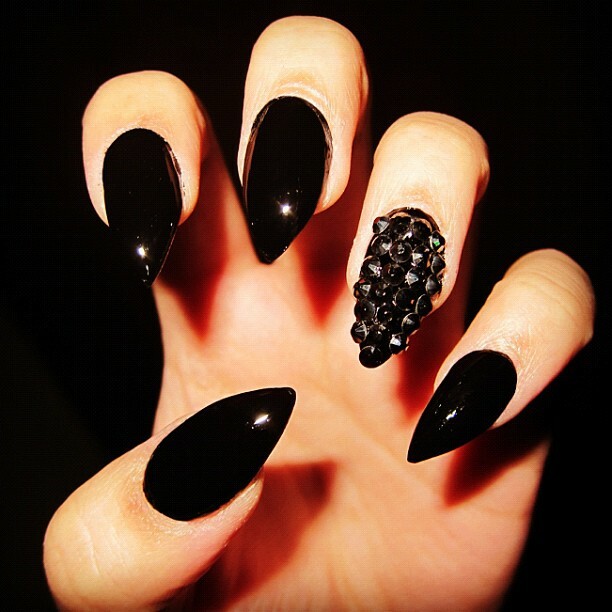 2) Brush the nail by using the nail brush and remove the dust particles. 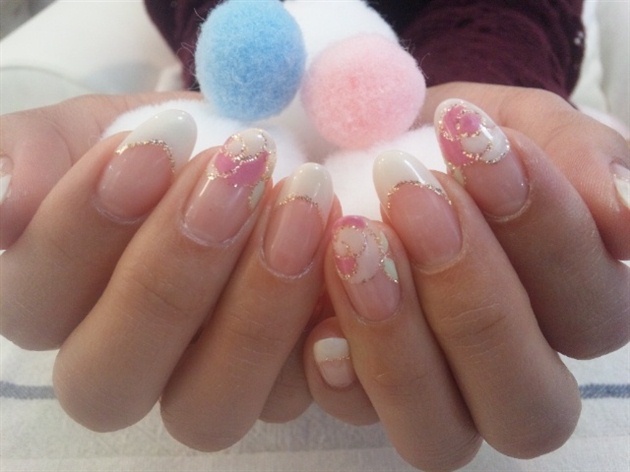 3) Apply liquid monomer using acrylic brush and sweep brush into the acrylic powder and create the acrylic ball and spread the ball into the nail flat surface up to the nail is covered. 4) Smooth the edges and shape it by using nail file. 5) Again smooth the nail surface by using the nail buffer and apply the cuticle oil on the cuticles. 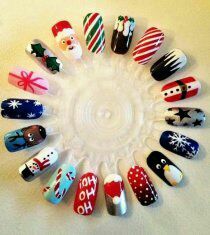 6) Finally apply the color nail polish and wait up to dry the nail and finally apply the clear nail polish for secure.